The Sunflower Showdown is up next for the Jayhawks, looking to rebound in the Big 12 standings and take a huge step towards securing another league title. The Jayhawks, 6-2 and alone atop the Big 12 standings, are met at a crossroads with Kansas State. It’s their toughest remaining league game. They lead the conference by one game. A win here essentially clinches at least a share of the Big 12 for KU. Win and you’re probably going 14-4 in the league. With nine games remaining, that’d mean that to take the title from the Jayhawks outright, somebody else would have to go 9-0 to do it. That isn’t happening. It’s that simple for Kansas: win this game, and you’re going to win the Big 12. But at this point, that’s quite a task. About Kansas State: Arguably Kansas’ most important league win to date was the narrow 73-72 knock-off of the Wildcats in Lawrence back a couple weekends ago. Barry Brown’s three-pointer at the buzzer clanking out is the difference between the two teams in the standings, and ever since that missed shot, K-State has played better than anybody in the conference. The Wildcats are 16-5 overall, but they’ve won four in a row since losing at Allen Fieldhouse, and they’ve been remarkably impressive ever since. This is a K-State team that’s pretty good at almost everything: they’re second in the league in three-point shooting, second in field goal percentage, and first in points allowed. The only area they struggle in is rebounding, where they’re a bottom-10 team nationally in rebounds per game, but against a Kansas team that enters having been out-rebounded in 10 straight games, who cares? Kansas is 63-7 in its last 70 matchups with the Wildcats, which is a psychotic number. 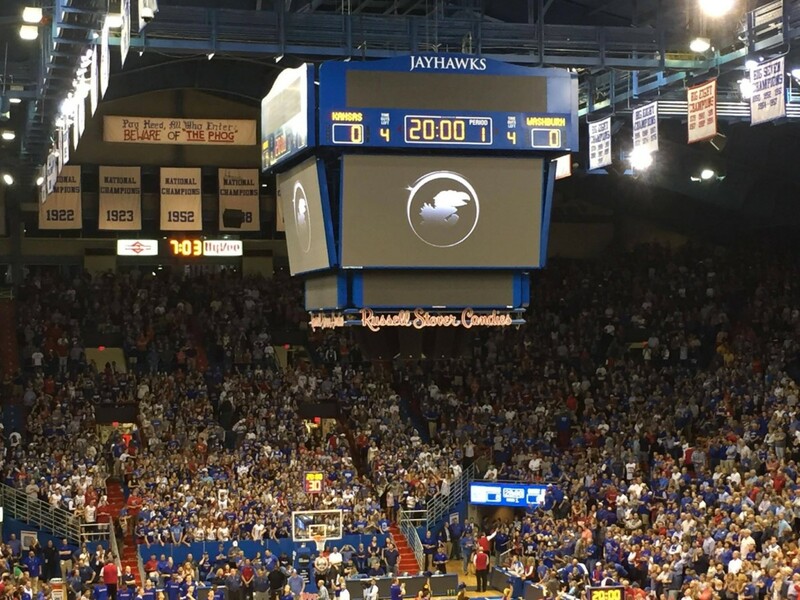 Bill Self is 27-5 against K-State, and the Jayhawks are 24-4 at Bramlage Coliseum since its opening in 1989. There are some pretty remarkable numbers that Kansas basketball is on the right end of, but some of those statistics top just about everything else. While KU is 24-4 at Bramlage, it is worth noting that they’re just 6-4 since 2008 out there. The Wildcats have played the Jayhawks very well at home in the past 10 years, winning four times straight up, and five of the six losses are by six points or fewer. Brown is having a spectacular season, getting 17.3 points per game and shooting 46% from the floor. He’s not a good three-point shooter (33%), which means he gets most of his buckets driving to the rim. Few guards if any in this conference are as good at getting to the basket. Wade is playing the best basketball of his career; he enters Monday with five consecutive 20 point games. His season numbers have risen to 16.2 points and 6.5 rebounds while shooting 58% from the floor and a remarkable 45% on threes. He’s a matchup problem for the Jayhawks, but his versatility will likely draw Svi Mykhailiuk’s assignment. He’s also played his best basketball against Kansas, as he’s scored at least 20 points in each of his last three Sunflower Showdowns. Kamau Stokes has been out since early January with a foot injury, and Diarra has been masterful in his absence. In his last seven games, Diarra is averaging 13 points and over three assists per contest. He was great in K-State’s narrow loss at KU earlier this month, scoring 18 points and making seven baskets, both of which are career highs. This is as close to a 50/50 game as you can get. These teams have both similar strengths and similar weaknesses. 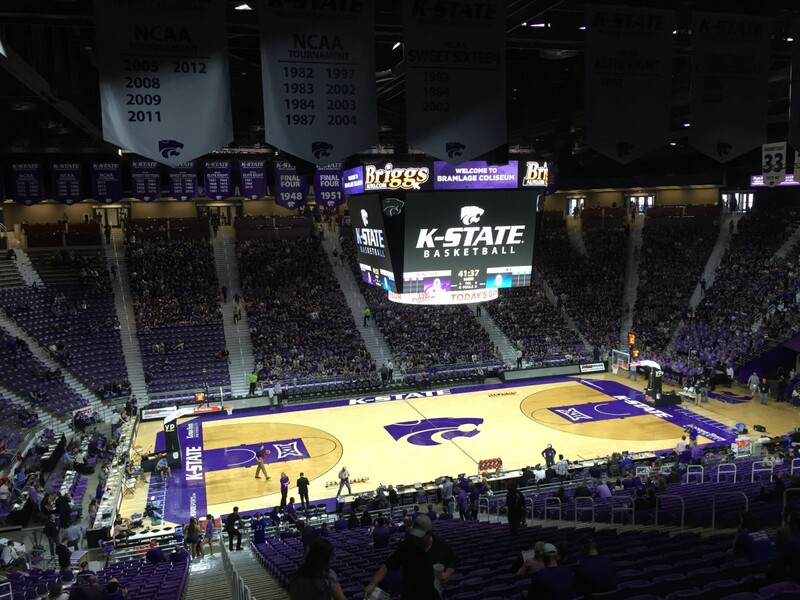 Kansas State isn’t really better than Kansas at any position, but that probably gets neutralized by their sure-to-be madhouse of a homecourt advantage on Monday night. They get up for this game, as they should. Any Jayhawk fan who claims that the Sunflower Showdown isn’t a rivalry is wrong, especially when the game is played in Manhattan. Ultimately, I’m going to give the narrow advantage to the Jayhawks for one reason: this is a game that, throughout their unprecedented 14-year run of dominance through this conference, they always win. 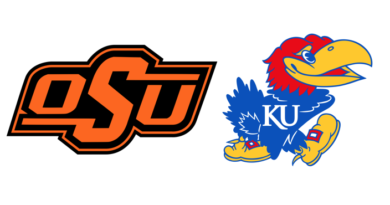 These “if you want to win the league, you probably will want to take this one” contests; it feels like Bill Self is 999-0 in these, and I’m sure the rest of the Big 12 can attest to that. They’re road-tested and should be ready for anything K-State throws at them, and I think Devonte’ Graham bounces back with a 22-point, 7-assist night to give the Jayhawks /just/ enough to get it done. It’s about as even of a game as you can draw up. But ultimately, Kansas has been in this spot, and K-State hasn’t. That’s the only variable of separation I can find between the two teams, and that’s why I’ll ultimately bet on Bill Self.